GB: The Witcher has received numerous "RPG of the Year" awards and has sold over 600,000 copies in its first few months on store shelves. How does it feel to see your game met with such high praise and success? Tom: I think it's safe to say that we're really happy with the reception The Witcher has received, but we also realize that there's a lot of room to improve. There's still a pretty significant audience out there that hasn't played the game, and that's a big part of why we're working on The Witcher Enhanced Edition. For a debut game from a fledgling studio for a (dead platform) in a relatively niche genre, though, I think the game's success is astounding. GB: Given the game's success and the employment opportunities at CD Projekt for console programmers, is there a chance we might see The Witcher ported to the Xbox 360 and/or PlayStation 3? Why or why not? Tom: The PC has always been our lead platform, and our goal was (and, with the Enhanced Edition, still is) to deliver the best role-playing game for PC gamers. That said, a console version is entirely possible the game would really lend itself to a unique console-RPG experience. However, when and if we decide to do a console version, it will have to be significantly reworked to be relevant to console gaming. From a business perspective, we don't see any point in doing a straight port of the game; why release the exact same game a year later on consoles? If we release the game on 360 and/or PS3, it will be improved and enhanced in a way that allows it to compete with other AAA titles on those platforms we want to surprise and impress people all over again. GB: Tell us more about the recently announced Enhanced Edition. What can we expect from the two new adventures being included in the revised version and how will they tie into the original storyline? Tom: When The Witcher was originally released in October last year, we got a lot of important feedback from fans and media about the issues they had with the game. For the most part, gamers were able to look past their concerns to get a lot of enjoyment out of it, but in some cases, those problems long load times, inconsistent dialogue and stability, among others meant enough to have a very negative impact on how some people perceived the game. We've made things better through patches we've released since launch, but we really want to fundamentally improve the game and give gamers the ultimate role-playing game. 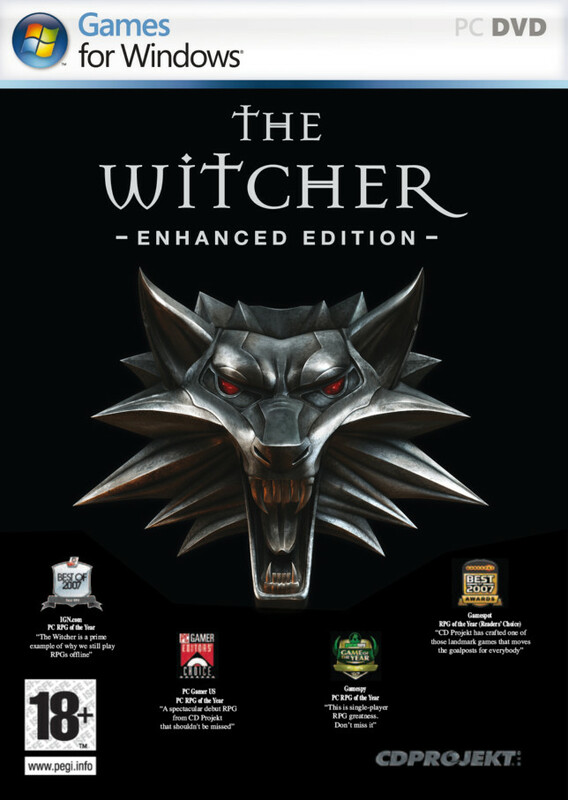 For The Witcher Enhanced Edition we're fixing nearly everything that players and journalists complained about, repackaging the whole thing with some awesome bonus content like two music CDs, a making-of DVD, the D'jinni Adventure Editor and more. People who already paid for the original will get all of the in-game improvements for free in the form of a patch. which may or may not be gigantic. Katarzyna: Both adventures take place before the events presented in The Witcher. The Price of Neutrality tells the story of a girl that arrives in Kaer Morhen and brings some trouble to the witchers' world. She is Eskel's surprise child and she wants to become his student. But there are some powerful people going after her and Geralt has to make a difficult choice. The Side Effect adventure is a completely different one. It focuses on interesting and diverse gameplay with a lighter, less serious plot. Geralt will have to help his friend Dandelion get out of trouble by gathering a considerable amount of money. GB: The press release mentioned that you'll be retranslating all of the English text, redesigning the inventory panel, creating over 50 more character models and 100 more character animations, and reducing loading times by 80%. Such revisioning sounds like quite an undertaking. What steps are being taken to ensure all of these features become a reality and meet your goal of releasing a version of the game that's "devoid of all major criticisms"? Tom: Yeah, some people probably think we're crazy. Really, it's just a matter of having a team committed to making their game even better. and working diligently to implement all of those features. It's definitely going to be a challenge, but we're confident we can get it done. In any event, we're dedicated to getting the improved version of the game out there, and we're not in a position where we have to rush the release, so we'll take as long as we need.